Soon, Smart Wall Ovens Will Rule the World! Wall ovens have been around since ancient Greece, about 800 B.C. Thanks to the rapid advances in today’s technology, we think the ancient Greeks might be impressed with today’s new generation of smart ovens. You have no doubt heard of smart thermostats, smart cars and smartphones. The smart oven, however, may be one you haven’t heard of before. What Is Smart Home Appliance Technology, Anyway? This term is used whenever advanced technological components assist you in using your appliances or devices. For example, a dishwasher might sense the level of soil on the dishes and activate a more vigorous scrub cycle in response. Your microwave may be able to determine how large, heavy and frozen your hamburger package is, and run an appropriate defrost cycle. Some of today’s new generation of refrigerators have the ability to inventory your food and tell you when to throw the eggs away or what to buy at the market. But the intelligent ovens we’re about to describe make all these features look like your grandma’s appliances. What Features Make a Wall Oven Smart? Whether you’re a gourmet home chef or someone who burns water, these innovative appliances have something to offer you. The new generation of intelligent ovens all feature state-of-the-art TFT (thin film transistor) LCD touch screens, providing a clear and readable display that uses little power. Most brands have a built-in self-monitoring feature that alerts you (and in some cases, the manufacturer) when a service issue is detected. This way, when the service technician arrives, he or she will already know the diagnosis and have the correct parts on board. Most models allow you to access them remotely via smartphone, tablet or computer. If you forgot to turn off the oven before you left home, no need to turn around the car. If you want to have your oven preheated when you arrive home, simply tap a button. The newest generation of smart ovens offers some pretty impressive features. Menu-driven interface systems can literally walk you through the steps of preparing most any dish. Many models have hundreds of pre-programmed selections as well. For example, tell your smart oven that you want to cook your standing rib roast to medium rare and you’d like it ready at 6 p.m. Your oven will weigh the roast, set the correct temperature, monitor the process and have that perfectly cooked slab of beef ready and waiting at the appointed time! The Dacor Discovery iQ series offers a 7-inch display that’s designed to look and operate just like your tablet. You can access the Internet to find recipes, watch Netflix while you make dinner, or switch on Pandora for background music while you eat. The Miele M-Touch Contourline model has a water reservoir that allows you to release a burst of steam into the oven. If you’re a bread baker, you understand how amazing this is! It also has a feature that removes moisture from the oven, for crisper pizza crust. 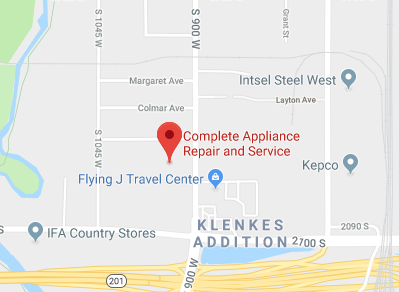 Complete Appliance Repair, serving the Salt Lake City, Utah, area, cares for all types of ovens, even the not-so-intelligent versions that most of us still own and love. If you’re ready for new home appliances, we can sell, service and install whatever you like. Give us a call today and see if one of these smart wall ovens is for you! 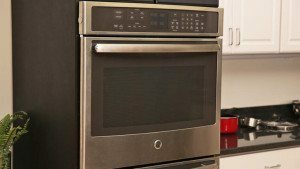 This entry was posted in Blog and tagged Smart Ovens, Wall Ovens on January 13, 2016 by admin.